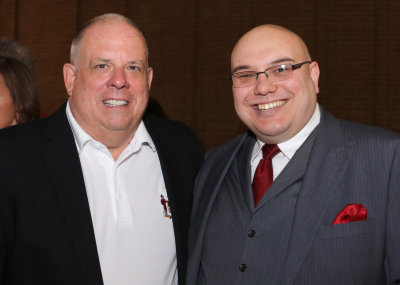 Even though he was born in a small town in Northwestern Pennsylvania, Justin has considered himself a Marylander since his family moved to the Old Line State when he was just five years old. Growing up in Walkersville, he graduated from Walkersville High School in 1997 then attended The George Washington University in Washington, D.C., where he earned a degree in Communications and minored in Political Science. In Washington, Justin was surrounded with all the opportunities afforded to someone interested in government and politics. While still in college, Justin joined the Presidential Campaign of Former Transportation and Labor Secretary Elizabeth Dole. He began in the campaign's headquarters as a volunteer then worked his way up to joining the Campaign Finance staff. Following the campaign, Justin went to work for two former U.S. Cabinet secretaries, Jack Kemp and Bill Bennett, as a Policy Intern at their think-tank, Empower America. It was here that he really started to learn about the intricaies of public policy and understand the impact on people's daily lives. He returned to Elizabeth Dole’s office in 2000, where he served as Secretary Dole’s Special Assistant and Scheduler for the next two years. Having “grown up” at the feet of such luminaries and true public servants as Jack Kemp, Bill Bennett, and Bob and Elizabeth Dole, Justin learned how service and doing what is right is far more important than politics. While it may sound idealistic, he still believes serving one’s community, at any level, is a serious responsibility and a true honor. 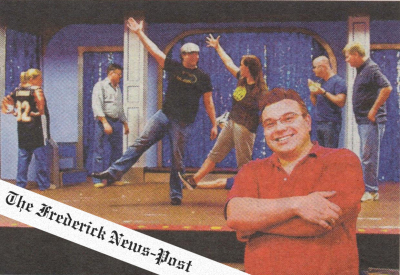 While his interested in government was always a driving force, Justin was also very involved with the area’s theatre community starting when he was at Walkersville High School. Not an actor, he could always be found behind the scenes working on the Lighting Crew or as the Technical Director. 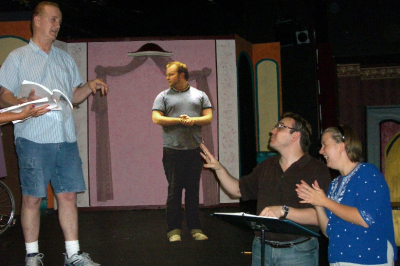 Before he graduated and left for GW, he worked on over two dozen productions both at Walkersville High and at the historic Weinberg Center for the Arts. In 2002, he returned to his home in Maryland when he and his family purchased and took over operations of The Way Off Broadway Dinner Theatre in Frederick City, where he is currently the company’s President and Managing Director. In this position, Justin manages the overall operations and development of the theatre. From marketing campaigns to brand management and expansion, he is involved with all aspects of Way Off Broadway's operations. Through Way Off Broadway, he has produced, not only classic stage productions but area and regional premieres, such as Disney's Beauty & the Beast, Sister Act, The Pirates of Penznace, Monty Python's Spamalot, Fiddler on the Roof, Les Misérables, Sunset Boulevard, Legally Blonde, Steel Magnolias, Hairspray, Rodgers and Hammerstein's South Pacific, All Shook Up, Andrew Lloyd Webber's CATS, The Wedding Singer, Evita, Rodgers and Hammerstein's The Sound of Music, and La Cage aux Folles. While producing is his main focus as one of the owners of Way Off Broadway, he continues to direct, having helmed productions of Chitty Chitty Bang Bang, Noises Off, The Addams Family, Agatha Christie's And Then There Were None, Dolly Parton's 9 to 5 - The Musical, Jekyll & Hyde, The Drowsy Chaperone, Dirty Rotten Scoundrels, Mel Brooks' The Producers, Grease, Lullabies of Broadway - A Musical Revue (which he also wrote), Steel Magnolias, and Wait Until Dark. Justin is also the Chairman of WOB LIVE! Entertainment, the division of Way Off Broadway he launched in 2010 to handle all of the company’s activities outside of the theatre itself, including producing, theatrical consulting, and media management. It is under the WOB LIVE! brand that Justin's interactive murder mystery series, Marquee Mysteries, has developed and grown to include over thirty different mysteries produced at venues throughout the Mid-Maryland region. 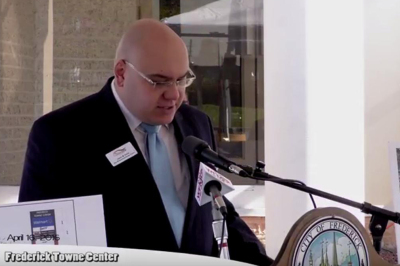 Active in the community, Justin was appointed to the Board of Directors of what would become The Golden Mile Alliance in 2012 by Frederick City Mayor Randy McClement. The organization was originally created as an ad hoc committee of the city with the purpose of helping to revitalize the commercial corridor on the west side of the city. 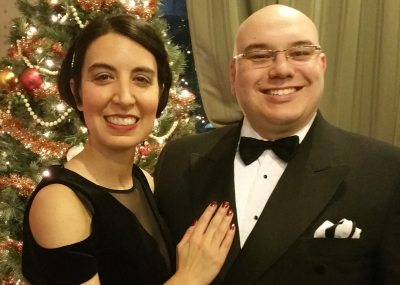 Upon the group's incorporation into an independent 501(c)3 non-profit organization, Justin was elected to the Executive Committee where he became the Secretary of the Board. Two years later, in 2014, he was elected President of The Golden Mile Alliance - a position he held for three years until 2017 when his term on the Board of Directors expired. During his tenure as an executive officer with The Golden Mile Alliance, Justin helped to build the organization into a resource and advocate for the future of the Golden Mile district. 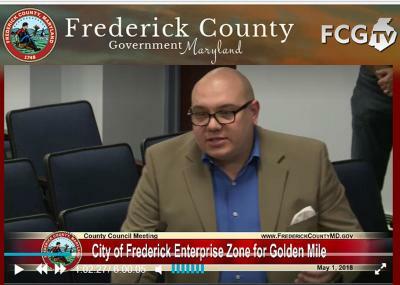 Working with government officals, he and The Golden Mile Alliance laid out plans and advocated for policies that would enoucrage investment and redevelopment to return the Golden Mile to its place as an economic juggernaut of, not only Frederick City, but Frederick County. 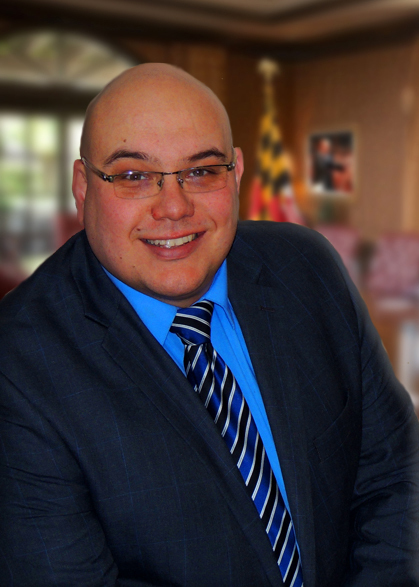 In 2014, Justin was a candidate for the newly formed Frederick County Council. Knowing levelheaded, pragmatic leaders were going to be needed to guide Frederick County through the transition to a new form of government, he criss-crossed the county talking about the importance of the new Charter government and the role the Council should play in the future. Though Justin did not see an election victory in 2014, he continued to be a voice on public policy issues after the election. Effective and responsible government, along with aggressive economic development policy became Justin's hallmark issues. Whether a candidate for office or a business leader in the private sector, Justin sees the potential and possibilities and continues to fight for their realization. Following the 2014 election, Justin was offered a regular column in the Emmitsburg News-Journal and the Woodsboro-Walkersville Times, in which he wrote about and discussed local, state, and national issues. His column ran from 2015 until the end of 2018. After a particularly contentious four years in local government - something he had feared - when the 2018 election cycle began, Justin once again found himself on the ballot as a candidate for the Frederick County Council fighting for a local government that focused more on policy than politics. As he was four years eariler, Justin was proud to represent the moderate, common-sense policies and positions that put results ahead of political in-fighting. Though Justin is the first to admit he probably works more than he should, he does enjoy traveling - especially setting sail on a cruise - or spending a quiet evening reading a good book - usually a mystery. Justin and his wife, Jessica, live in the WestWinds neighborhood of Lake Linganore outside of New Market, Maryland.